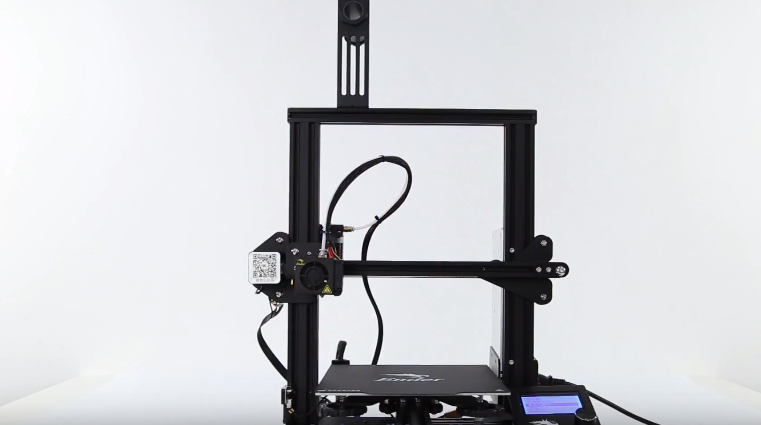 At the end of March, when the Ender 3 as announced, the anticipation of it was beyond imagination. It quickly became the most highly anticipated Creality 3D Ender 3 Pro printer. After dominating the midrange market with the CR-10, Creality decided to focus their attention on the lower end market, and it appears that they’ll be dominating the marker again. 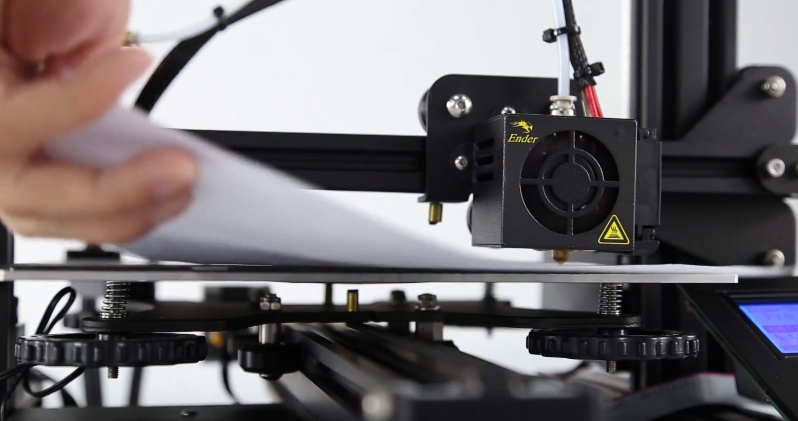 Not long after its release, Creality decided to upgrade the features of the Ender 3 and dropped an improved version dubbed the “Ender 3 Pro.” However, what makes this printer a pro? Are there enhanced features, or is it just a marketing scheme? 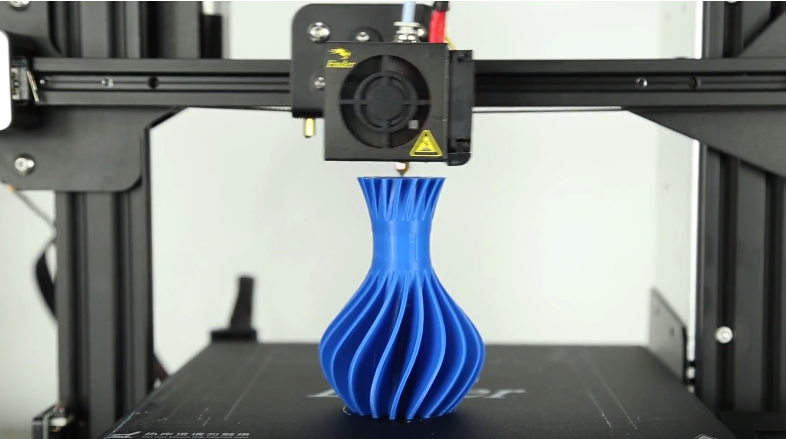 Like the Ender 3 before it, it is an affordable, well-built machine, capable of producing substantial and magnificent 3D print right from the box. Let’s take a look at some of the features, pros, and cons, as well as the unboxing. The bed wobbles so you’ll need to fix that by tightening the eccentric nuts. So how do you differentiate between the popular Ender 3 and the newly release Ender 3 Pro, well here are three differences between the two products? The Ender 3 Pro has a 40×40 aluminum extrusion for its Y-axis base to make it sturdier. This would also help to increase the overall stability of the printing surface. Additionally, it comes with better bearing wheels, which reduces friction, helps to reduce the overall noise levels, delivers more stiffness, and gives better dimensional stability. 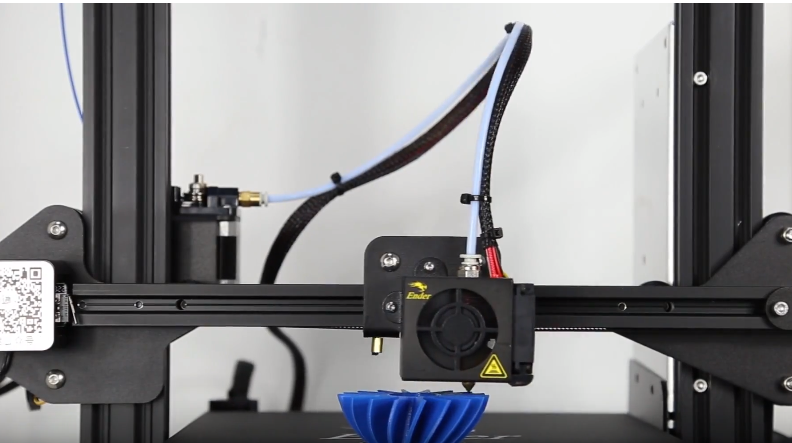 Apart from the features that were improved, all the other technical specifications of the Ender 3 Pro are the same as that of the Ender 3. The Creality Ender 3 Pro, like its predecessor before it, is a rather compact 3D printer and the packaging it comes with is proof of that. For a semi-assembled machine with a modest build volume, it came in quite a small box. On opening the box, you’ll find every tool and part tucked neatly away in packing foam. Apart from the parts of the 3D printer – which we’ll treat in detail in the next section – the Creality team also included the following tools in the box. For a 3D printer that costs slightly more than $200, it was quite a surprise – and a pleasant one at that – to see the added accessories like new nozzle cleaner and nozzle that came with the package. Once you’re done an unboxing, you can start with the anticipated process of assembling. 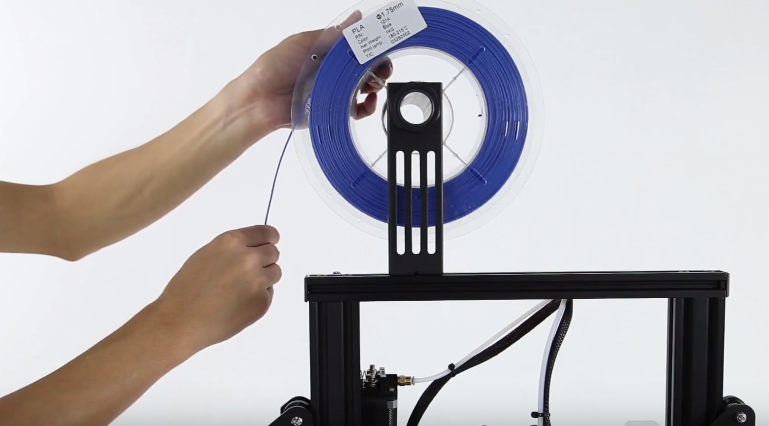 Although the Creality Ender 3 Pro is said to be a pre-assembled 3D printing kit, the truth is that you’ll need to carry out a fair bit of tinkering before you’ll have everything running just the way you like it. Unlike the Creality CR-10, which can be classified as a pre-assembled, the 3 Pro takes more effort and time to put together. You’re better off calling the Creality Ender 3 Pro a semi-assembled machine as opposed to a pre-assembled one. 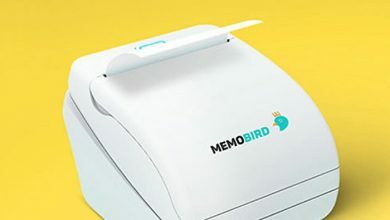 The entire assembly process is documented on a small pamphlet that is included in the printer package. The process is written in 12 steps. While it seems easy enough to follow, some of the levels don’t have enough detail or explanation, which made the build time longer than it should initially have. If you take into account the time for assembly and bed leveling, the entire process should take a novice user about 1 – 2 hours to complete. We’ve broken down the assembly process into the following sections to make things easier. The first section is frame assembly, followed by X-axis assembly. This is followed by belt installation, machine assembly, and finally, wiring. The first step is to put the frame together using the pair of 40×40 aluminum extrusion pieces. These are fastened to the frame by using two pairs of screws on each side. A tip that can make this easier for you is to turn the base of the print on its front. 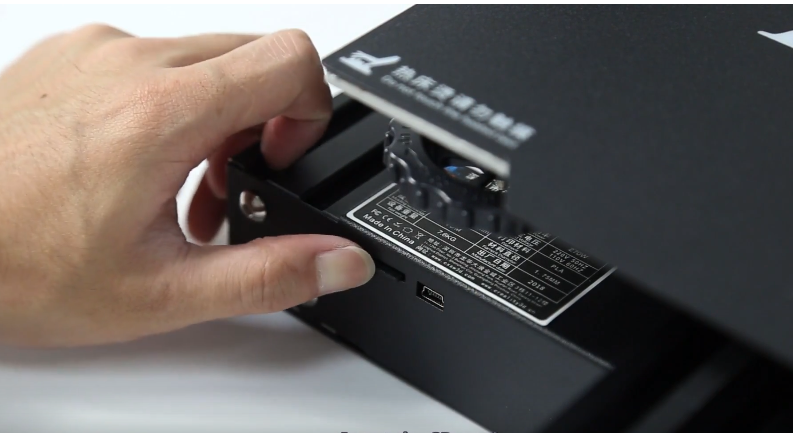 The printer comes with pre-drilled holes in the bottom where you can mount the Ender 3 Pro aluminum extrusions. The next step is to attach the LCD screen and the power supply box to the base. This is a simple act to accomplish and one that the instruction manual explained well enough. From here on, things get a bit more tricky, especially if this is your first time putting together a 3D printer. Once you’ve added the power supply and LCD to the base, the next step is to install the Z motor and Z-limit switch to the frame’s left side. The Z-limit switch must – and this is important – be mounted precisely 32mm from the bottom of the base to the side of the vertical beam. If you attach the limit switch too high or too low, you’ll end up messing up the calibration process, which is why you need to pay close attention to what you’re doing. You may want to pull out a ruler for this aspect of the assembly as you need to be accurate as possible if you wish to a successful meeting. Next, attach the Z-axis Motor directly to a pre-installed bracket on the back of the left vertical beam. There is grease on the lead screw to act as a lubricant, so make sure you don’t remove any of it while carrying out the installation. You should also make sure that the bearings are loose when you’re installing as the rail won’t function properly if the bearings are too tight. The next section to assemble is the X-axis. It can be a bit bothersome for some people, for a couple of reasons. The kit comes with two beams, which are the same dimensions. However, only one comes with six pre-drilled holes, and it is this beam you’ll need for the X-axis. If you get the beams mixed, you’ll end up staring at the instructions and wondering how to proceed. On the left mount, you’ll find the X-axis motor and the extruder motor. 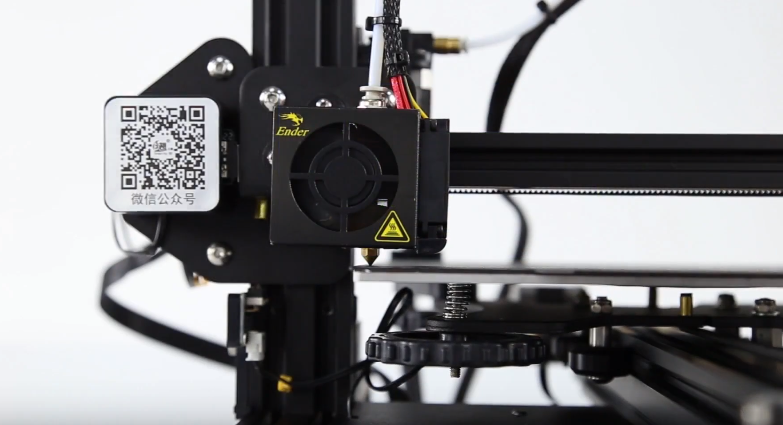 Also, there’s an odd Facebook QR code which doesn’t quite fit the Creality Ender 3 Pro’s frame. If you start at the open side of the X-axis beam, you’ll need to position the wheels at the top and bottom so you can slide the gantry into place. The wheels should slide smoothly back and forth on the rail. If there’s friction or drag when pushing, it means that the wheels were not situated. You’ll need to adjust the eccentric nut behind the bottom wheel until it falls back into place. Once your X-axis has been assembled, the next step is to join the mounting bracket and belt tensioner. Both items are installed on the right side of the beam. 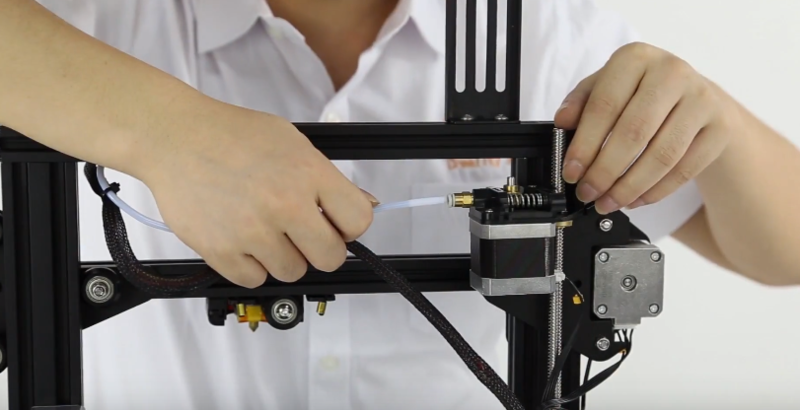 By now, your 3D printer should be taking form, but first, you’ll need to install the GT2 belt on the X-axis. At the ends of the pre-measured strap are gold clamps, which need to be positioned into the notches below the extruder carriage. 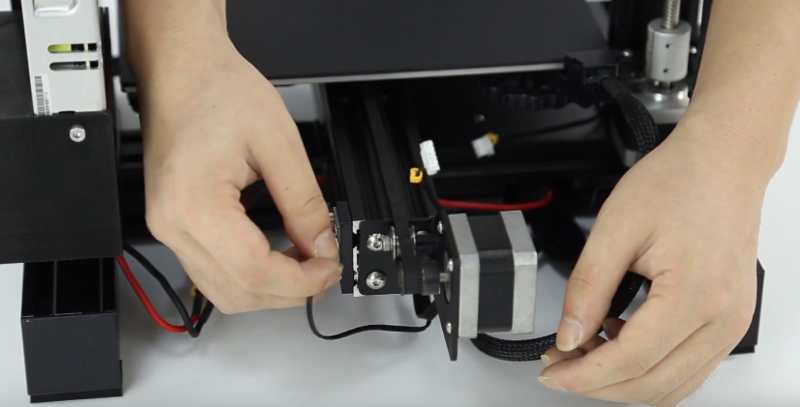 Installing the belt onto the Creality Ender 3 Pro requires that you carefully roll the extruder carriage over the belt. This will then slide the strap under the wheel, and into space. Repeat this process for the second wheel, making sure to position the other end of the strap underneath the carriage. Both ends of the X-axis have a pulley where the belt can wrap around, which will ensure the extruder moves smoothly. The last step is to put all the pieces together and mount the filament holder on top of the frame. 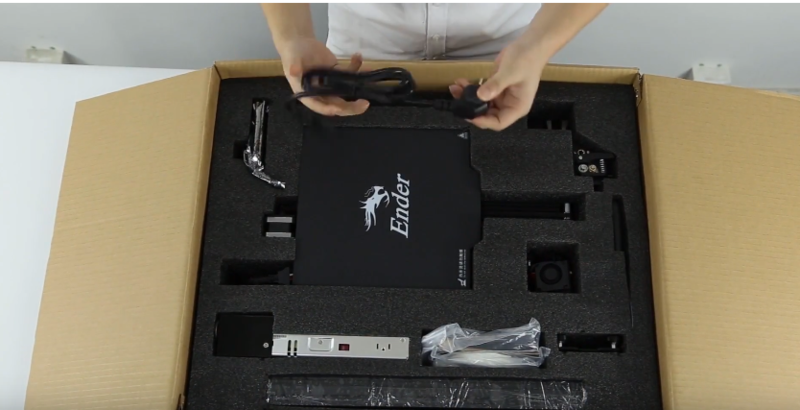 The Creality Ender 3 Pro manual is more than enough to get you through the assembly process. Nevertheless, you can find a couple of YouTube assembly videos that’ll help you reduce mistakes and speed up the entire process. 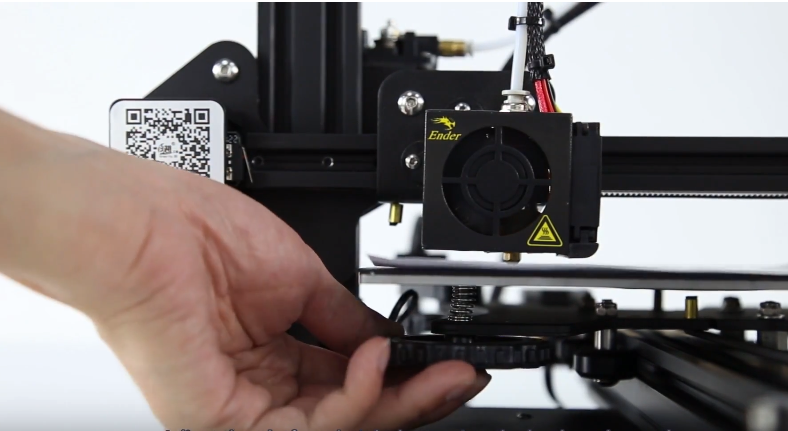 One thing that is a significant concern on most budget 3D printers from China are the electrical components. Fortunately, there is much improvement in the Ender 3 Pro. It comes with a 24V switching power supply, which is compliant with the RoHS, CE, the FCC, and comes with a couple of factory certifications. There are thick power cables that connect to the main board via robust XT60 connectors. One thing you can say for Creality is that they learn from their past mistakes. This time they made sure to implement proper strain relief on the heated bed wires, which was an upgrade to those on the CR-10 that later led to all sorts of problems. As for the printed board, it’s quite difficult to discern anything specific from the electronics. They were just labeled as a product of Creality. Nevertheless, the integrated control box is simple and easy to access. It comes with clean wiring and beefy connectors that have been adequately labeled for identification. A couple of early models had slightly loose connections, so make sure you check the link out before putting it to use for the first time. 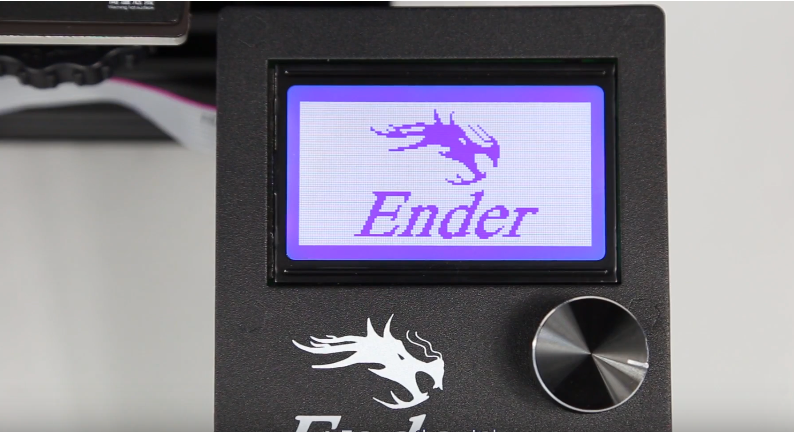 One of the effects of the improvements on the Ender 3 Pro is that it will cost more than the Ender 3. The retail price is set at $299; meanwhile, the Creality Ender 3 costs just $200, sometimes less. You should note that the price range tends to vary. 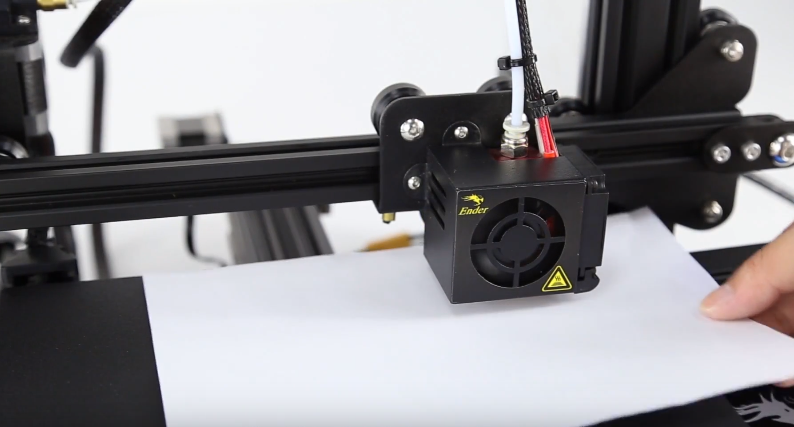 Several stores are shipping directly from China that offers the Ender 3 Pro for $215 while other stores climb up to $299. However, are the overall changes worth the money? In this writer’s opinion, yes. Although a magnetic bed isn’t required if you want to achieve great results in your printing, it is a nice thing to have. The same can be said for the improved extruder, again, not necessary for good results, but always a bonus to have. So if you have the money for these improvements and still want to enjoy all that Ender 3 had to offer, then you should get the Ender 3 Pro. If you are still looking for a reason, then the improved Y-Axis should be it. The improvement gives you a more consistent and higher-quality print. However, if you’re not impressed by these changes, then you can always stick with the Creality Ender 3. 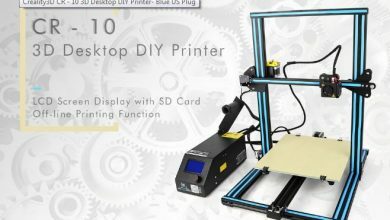 The best 3D printer with the updated version that you need to check before you buy another product.